A group which identified itself as the Nigerian Policy Monitoring Team, NPMT, on Thursday, accused the President Muhammadu Buhari-led Federal Government of deliberately assigning cases involving the leader of the Indigenous People of Biafra, IPOB, Nnamdi Kanu and former Aviation Minister, Femi Fani-Kayode, to Fulani judges. The group made the allegation while reacting to the call by former Defence minister, T.Y. Danjuma, asking Nigerians to defend themselves against killer herdsmen. Danjuma, who spoke during last weekend, claimed that the military was colluding armed bandits wrecking havoc in communities. 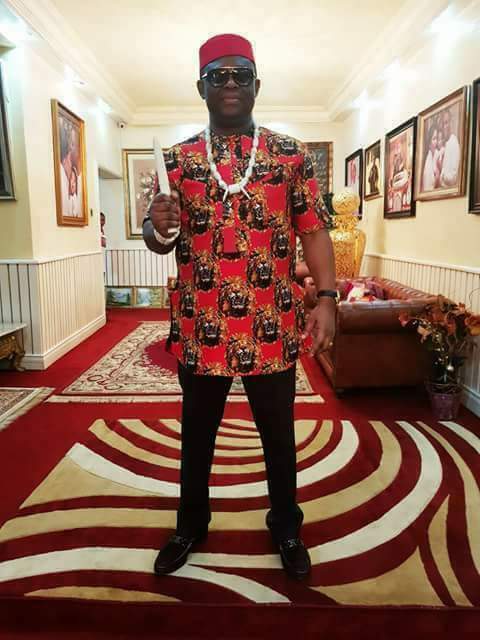 While Fani-Kayode is facing charges of corruption before a Lagos Federal High Court, the IPOB leader faces terrorism charges before an Abuja Federal High Court. In a statement signed by its Director General, Oyinemi Nicholas Endeley, NPMT stressed that Danjuma only reiterated what Kanu and Fani-Kayode had said. Endeley maintained that the Buhari administration “hates and fear” both Kanu and Fani-Kayode more than anybody. The statement reads, “T.Y. Danjuma shocked the world when he exposed the ills going on behind the scenes, telling us that this present government and their controlled Army are colluding with Fulani terrorists to cause mayhem in our lands as they seek to conquer us. “Now the Nigerian Polity Monitoring Team is telling Nigerians that this same pattern is being used in the judiciary system to shut the mouths of strong oppositions. “There are two people that the Buhari government hate and fear more than any other. First is Nnamdi Kanu, second is Femi Fani-Kayode. They had said everything T.Y Danjuma just said; they have been a bone in the necks of these tyrants. If President Muhammadu Buhari could get away with it he would have killed them both long ago. “But instead of doing so, he charged them to court with spurious and fake trumped up charges and has put them both in front of Fulani judges who hate them and have been told to jail them at all costs. Nnamdi Kanu is before Justice Binta Nyarku who is from Katsina and FFK is before Justice R.M. Aikawa who is from Kano. This is not a coincidence. It is contrived and a well calculated plan to take them to the pit. Those judges have been given clear orders about what to do. “Despite that both FFK and Kanu remained steadfast for years and have refused to renounce their views about the Fulani ruling class, the Fulani herdsmen and the Buhari government. It takes mighty courage and a rear alloy of resilience to do this. Let us hope that Nnamdi is still alive and that they haven’t killed him and let us hope they don’t kill FFK.